An early morning transfer takes you from your hotel in Istanbul to meet your flight to Denizli (Pamukkale), where you are greeted by your licensed tour guide. 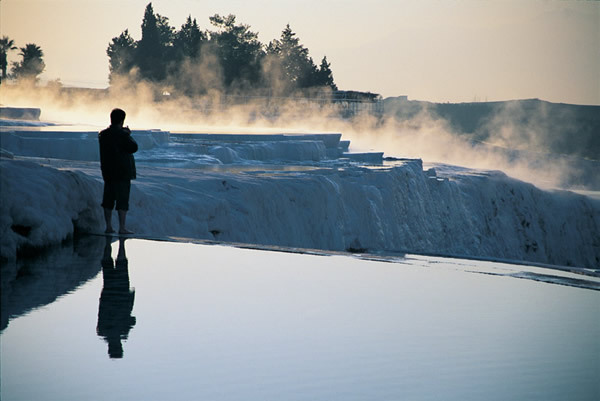 From there, a short drive takes us to the unique natural wonder of Pamukkale. Enjoy walking in the warm mineral waters of Pamukkale, where sparkling white basins formed by limestone deposits cascade dramatically down the mountainside. As you can see by the remains of marble columns in the picturesque Baths of Cleopatra, the thermal waters here have been used for their therapeutic powers since the Roman period. 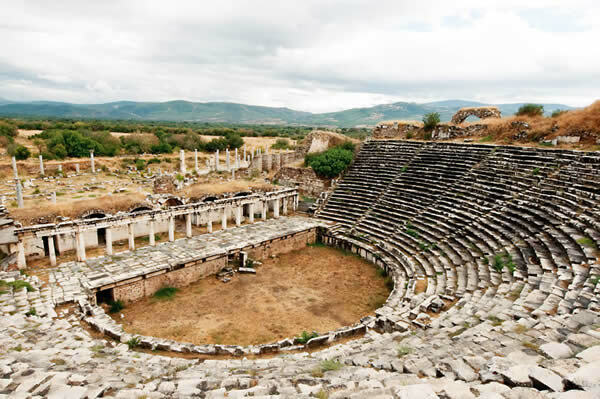 We will also explore the surrounding area of Hierapolis with its 2nd century Roman Theater, Apollo Temple, and the largest and best preserved Necropolis in Anatolia. After enjoying the splendors of Pamukkale, lunch at a local eatery in an unspoiled Anatolian town. 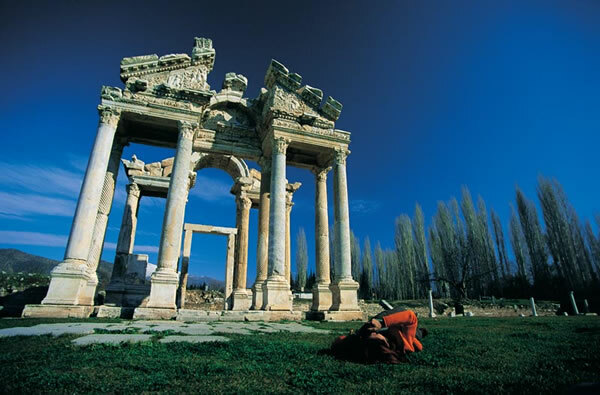 We drive onto Aphrodisias, one of the most beautiful (and least visited) ancient cities in Turkey. 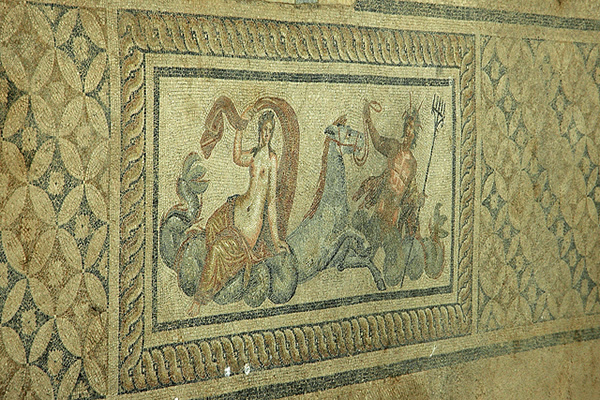 Named after Aphrodite, the goddess of love, this Greco-Roman site was once an important cultural and intellectual center renowned for its school of sculpture. See the well preserved monumental gateways, the thirty-thousand-seat stadium, and a rich array of public buildings, all of which offer important clues to the city's high standard of living. 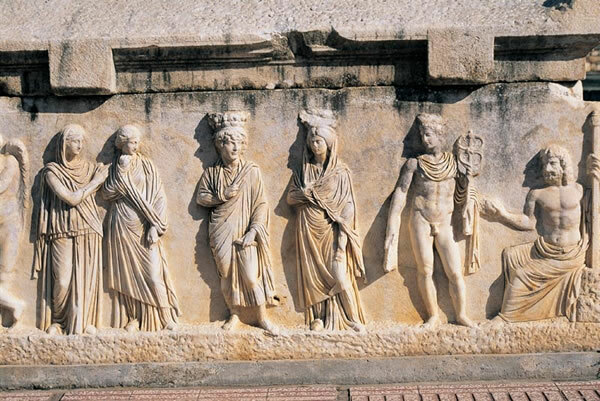 With a fine supply of quality marble nearby, the school at Aphrodisias cultivated the finest master sculptors, whose coveted works were found all over the Roman empire. Most of the magnificent statues found in the public buildings in the city are on display at the Aphrodisias Museum inside the ancient city. 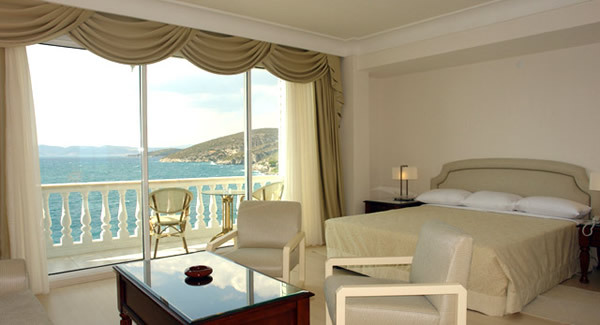 At the end of the day, you are transferred to one of our select hotels in Ephesus area. 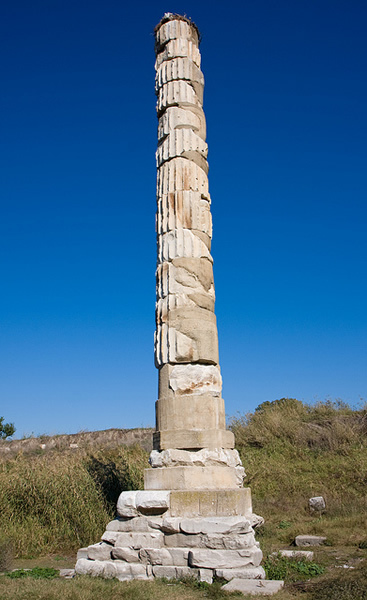 After breakfast, we head to the the Ionian city of Priene – pleasantly situated at the base of a cliff on Mt. Mycale. 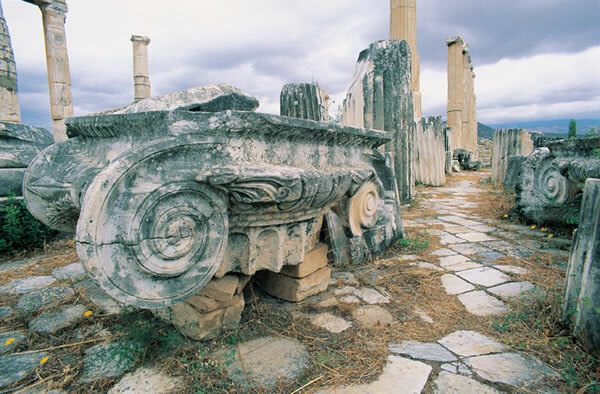 Priene is one of the most attractive and well preserved ancient sites on the west coast. The intimate scale and layout of the city gives you a sense of the community that once thrived here. 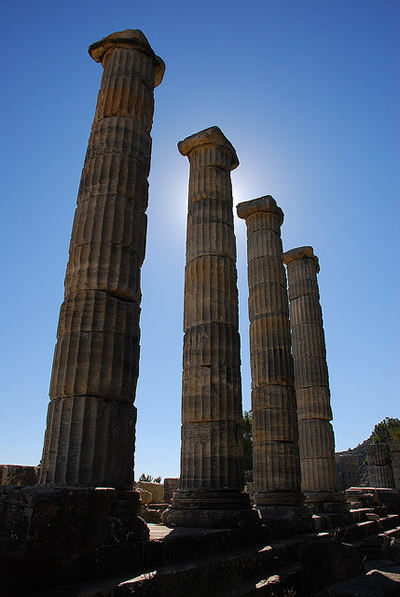 Alexander the Great ordered the building of the Temple of Athena, a classic example of the pure Ionic style. 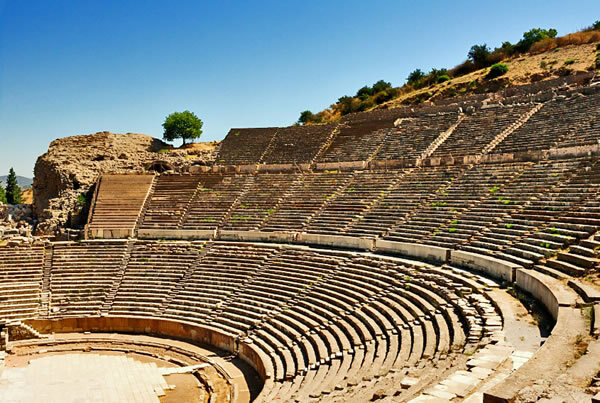 Wander through the nearby agora, stoa, and surprisingly intact theater, where you can rest in one of the armchair seats (complete with lion-paw armrests). Our next stop is Miletus, an ancient city located at the mouth of the Meander River and once the most important port in this area. 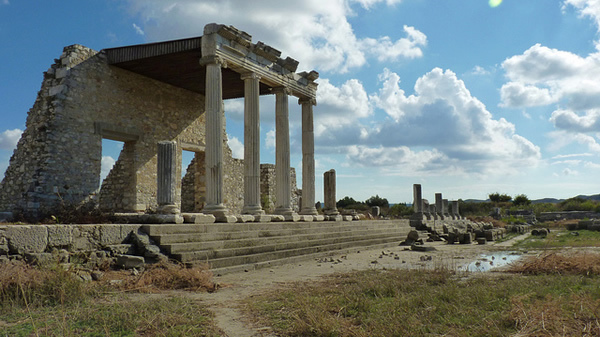 Miletus was the home of notable philosophers Anaximander, Anaximenes, Thales (admired by Aristotle), town planner Hippodamus (father of the “grid plan”), and architect Isidorus (co-designer of the Hagia Sophia in Istanbul). From the 7th century B.C. the city has been controlled in turn by Persians, Romans and Seljuk Turks. 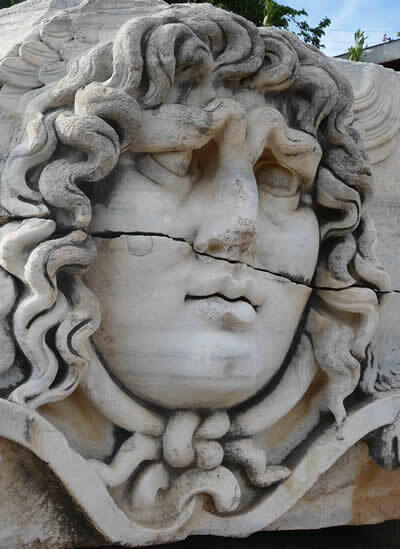 Travel 12 miles south along a sacred road to Didyma. Enjoy the views of the temple across the street while you relax at lunch at a local restaurant. 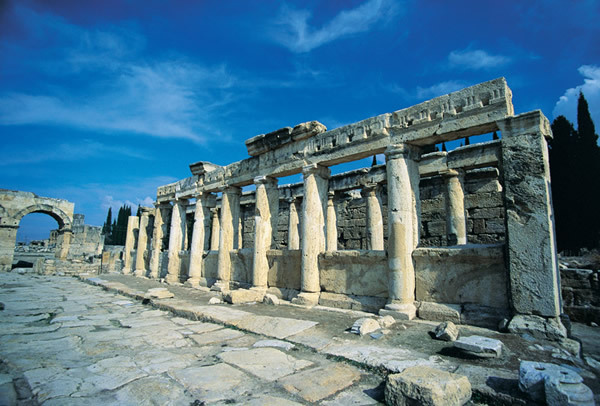 Once the most important oracle in the ancient Greek world, Didyma attracted travellers from afar who came seeking guidance. 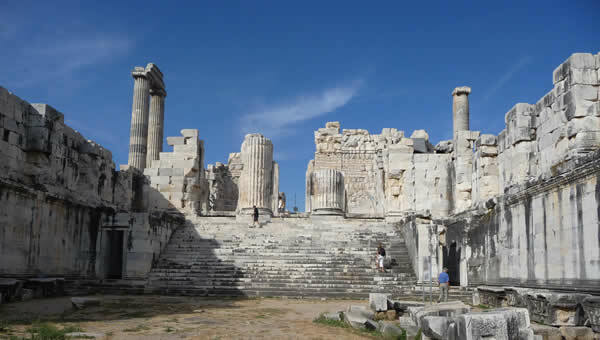 Explore and photograph the colossal and awe-inspiring Temple of Apollo at Didyma. 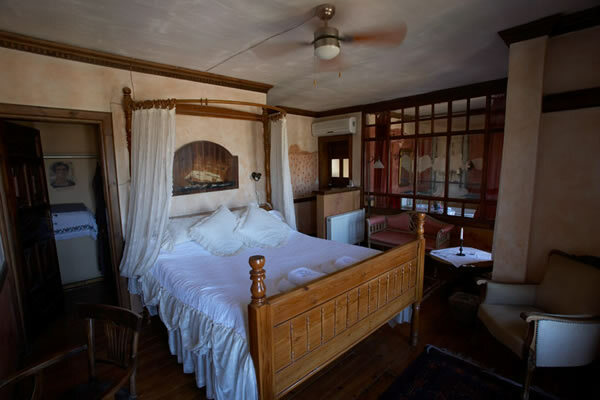 Overnight at one of our select hotels in Ephesus Area. After breakfast, meet your tour guide and start today's explorations at the Temple of Artemis, one of the original Seven Wonders of the Ancient world. 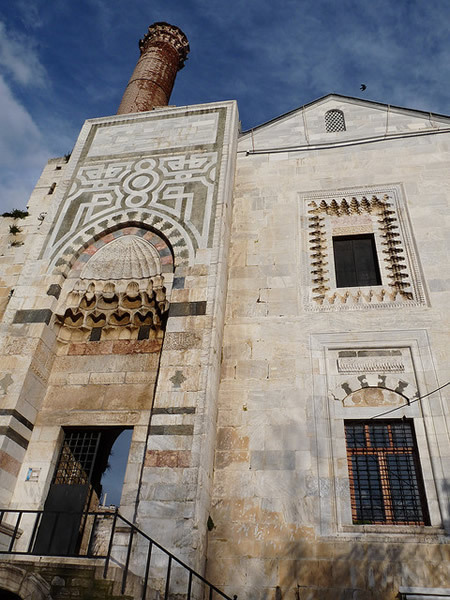 Next, head to the Isa Bey Mosque for an impressive display of 14th century Turkish architecture. 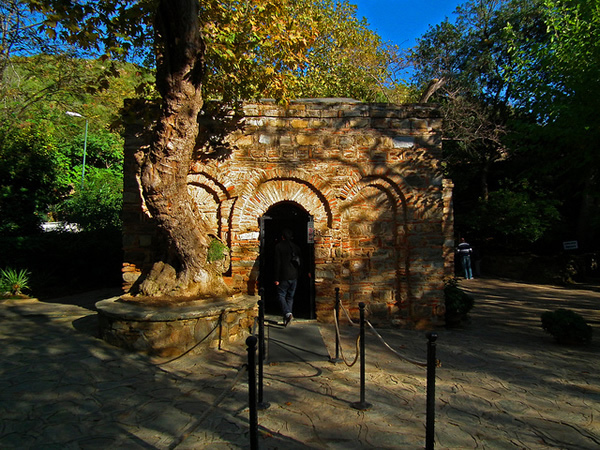 Continue on to visit the Basilica of St John, part of the magnificent church built over the tomb of St. John the Evangelist by Emperor Justinian in the sixth century. 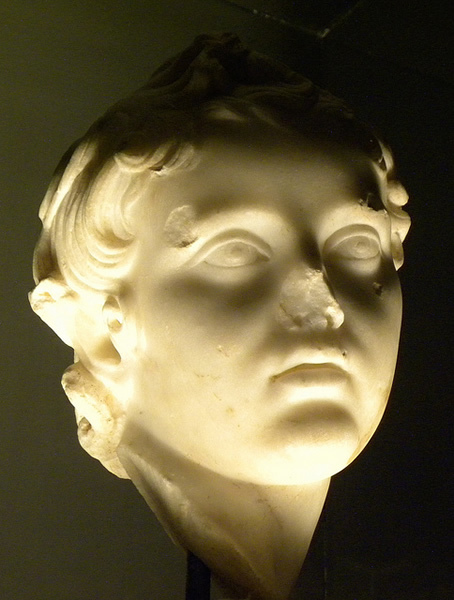 St. John is said to have lived in Ephesus with the Virgin Mary up to the time of his death. Following lunch at a local eatery specializing in Cop Sis (tasty flame-grilled lamb skewers), visit the superbly presented Ephesus Archaeological Museum. 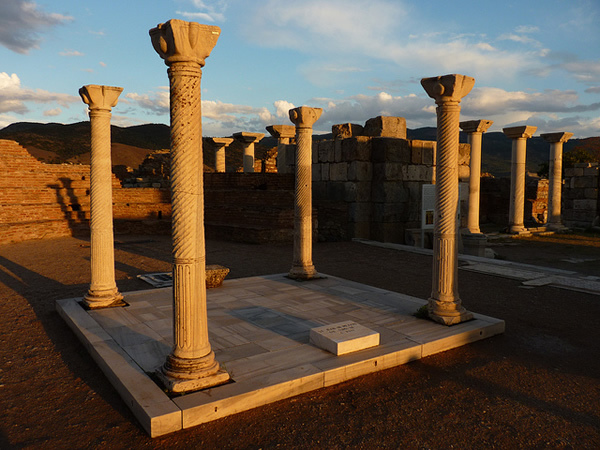 This collection of artifacts from Ephesus includes furniture and personal items from the Terrace Houses, fabulous marble statuary, and a gladiator exhibit featuring skeletal remains showing evidence of these warriors' fatal injuries and the weapons that inflicted them. A short drive takes you to the House of the Virgin Mary, authenticated by Pope Paul II in 1967 and a pilgrimage site for many religions. 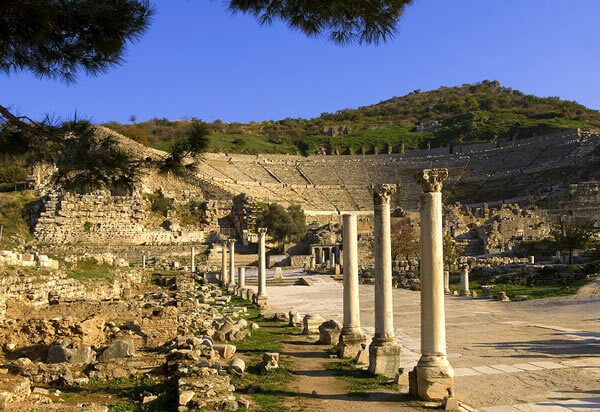 Next, we explore the unmatched archaeological site of ancient Ephesus. 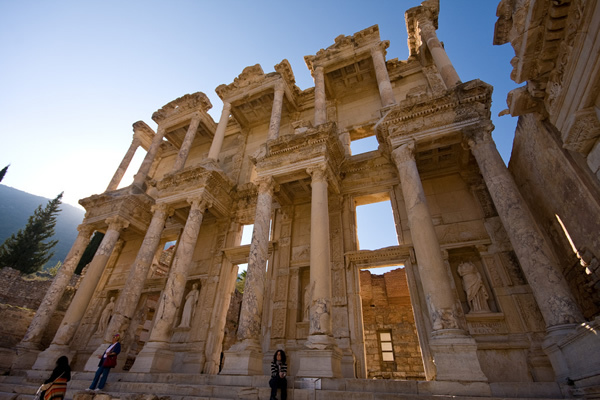 The sheer size and grandeur of the site make this the best-preserved classical city in the eastern Mediterranean. 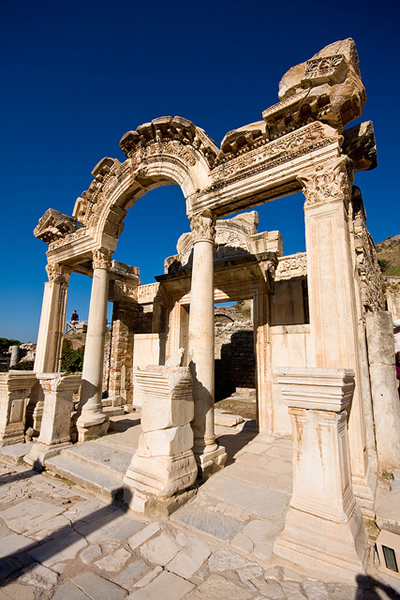 As you wind your way down through the city of colonnaded avenues, you will see the magnificent façade of the Celsus Library, the Temple of Hadrian, City Hall, the public baths, marketplaces, courthouses, fountains, the theater, as well as a brothel and public latrine. 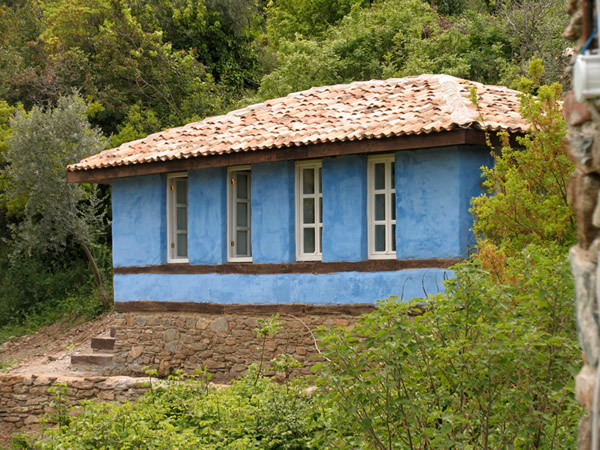 Your tour also includes a visit to see the Terrace Houses - well-preserved private homes of the Roman upper-class with many intact mosaics and frescoes. At the end of the day, you are transferred to Izmir Airport for an evening flight to Istanbul, where you are greeted and driven to your hotel.